Visit Harvest of the Month to get recipe ideas and learn how to incorporate what children eat with their lesson plans. Mix together all ingredients, pour over salad. Be sure to shake up the dressing before you pour. The fields will soon look like these at Picadilly Farm in Winchester, NH. Dedicated farmers bringing fresh local products to your community! Thank a Farmer- have a fresh, mixed green salad to celebrate early spring planting! Mix together, shake and serve on salads! 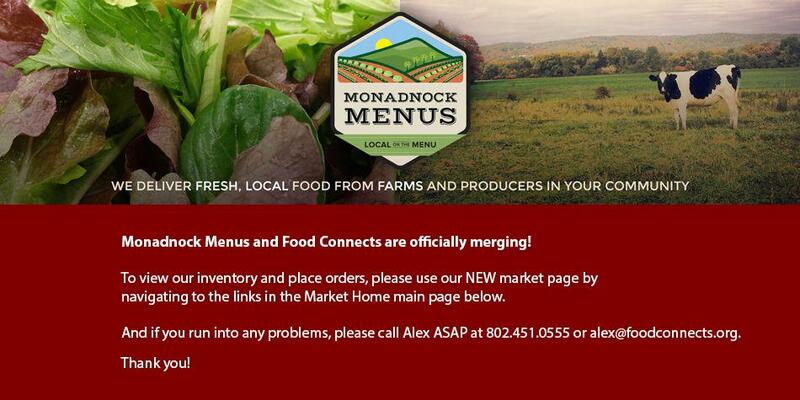 A Hearty welcome to Michael Collins at the Old Athens Farm in Westminster, VT. We have linked our market to his farm to add early crop inventory to our Cheshire County customers. One of our larger Cheshire County Vegetable Farms will be posting inventory soon! Look for their fresh, organically grown greens. A great way to dress up a traditional salad!